The artists selected for this year’s Bloomberg New Contemporaries were announced last week, and two of the 37 chosen have or are currently studying at Chelsea College of Arts. The annual open submission exhibition celebrates the best and most exciting work emerging from UK art schools. The final list has been selected by a panel comprising artists Hurvin Anderson, Jessie Flood-Paddock (New Contemporaries 2006) and Simon Starling (New Contemporaries 1994), from over 1,600 submissions. 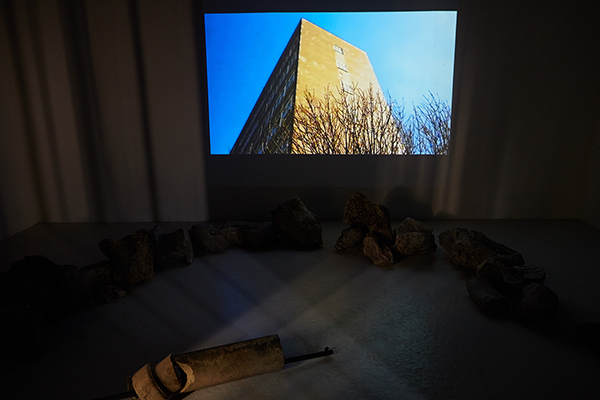 Aaron Wells, who graduated from BA Fine Art in 2014, has been selected for his film and video work. Following his successful degree show last year, he was the recipient of the Acme Chelsea Studio Award 2014/15 as part of the Acme Residency and Awards Programme, where he received a studio for a year and funding and he received the Exposure ’14 award inviting him to show an exhibition alongside two other graduates from Chelsea, during Frieze Art Fair, at the Parasol Unit Foundation for Contemporary Art. Also selected for the exhibition is Katie Schwab, who studied Foundation at Chelsea from 2004-5 before going on to do a BA at Goldsmiths and then an MFA at Glasgow School of Art with an exchange year at Hunter College, NYC in 2014.